Also we have our own professional designers to meet any of your requirements. 1. Can I have a sample order 9 Yes, we welcome sample order to confirm the quality. For larger order,we can arrange shipment by sea,by air according to your requirement. Nantong Nion Textile Technology Co., Ltd.
Bamboo Hair Towel Super Absorbent Twist Hair Drying Turban Wrap Product Type: Towel Material: 70%Bamboo 30%Cotton Size: As per requirement Color: White or DTM Service Provided as below For Hotels & Clubs: *customized logo, measurement & design *guarranteed professional recommendation based on requirements *optional door-to-door service For Traders & Importers: *complete and full coverage on costing/sample/production/shipping/aftersale *strong carton with waterproof polybag for multi-transaction *guarranteed response in 24 hours For Amazon & B2C Sellers: *small MOQ in avaliable fabric *multiple choices on customized/private/branded packaging *promotional material like pictures, flyers, etc Packing & Delivery Box with handler Box with PVC bag Paper bag Our Advantages We don't just sell product, we provide satisfaction. Don't believe it9 Why not check it out then! 3)Vivid colors and high color fastness. 4)Professional design workers to meet any of your specifications. 5)AZO-FREE,Environmentally Friendly. Huaian Bonne Textile Co., Ltd.
*Long life washing is not deformed. *Easy to clean and will not fall colors. We also do small order by air or sea. 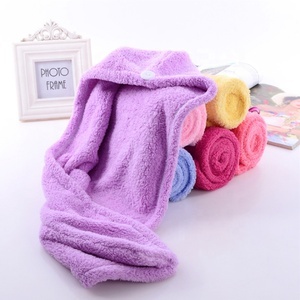 hair towel High quality Super water absorbent microfiber coral fleece hair towel Colors can be optional: Product information Type Coral velvet towel Brand WUJI OEM&ODM Available Logo Can be customized according to your requirements. Super absorbent and Lint free 6. Easy to wash and dry, 7. Soft touch and good handfeeling 8. Delicate edge and dense stitch, durable. Detail display Unfold size: Superfine fiber coral fleece towel quality fabrics, brand quality, soft and comfortable, strong water absorption, environmentally friendly printing, high-end technology, safety and health. Hebei Apice Textile Co., Ltd.
Customers also can let their own shipping agent to contact us about delivery. For air courier : We have our regular cooperated forwarder who can transport to any airport of the world. Also you can ask your agency to contact with us about delivery. Each set in a Zipper PVC bag with an insert, suitable pcs in a carton b. Also we make some textiles for airlines, cruise ships, hospitals and other fields. We supply a full set of solutions for hotel groups, airlines, and cruise ships. Shenzhen Hisung Textile Co., Ltd. 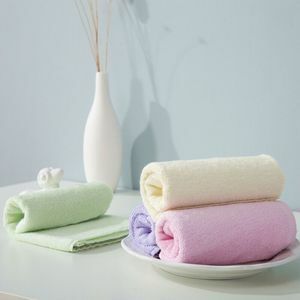 Description: Eco-Friendly Super Soft Water Absorbent Bamboo head towel 1. 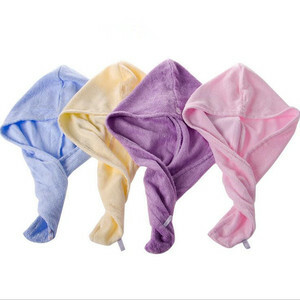 )Our bamboo fibre Hair Turban is lightweight, soft and highly absorbent. 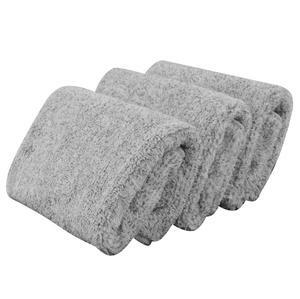 It is designed to remove more water from your hair than a regular towel. It&rsquo;s natural absorbency means less time using your hairdryer and no need to harshly towel dry your hair. Alibaba.com offers 717 bamboo hair towel products. About 83% of these are towel, 1% are shower caps. A wide variety of bamboo hair towel options are available to you, such as gift, home, and airplane. You can also choose from microfiber fabric, 100% bamboo fiber. 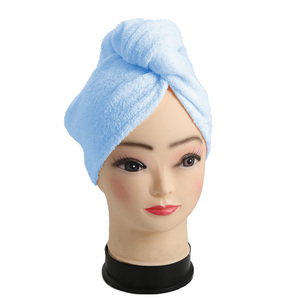 As well as from hair towel, face towel, and bath towel. And whether bamboo hair towel is plain dyed, or printed. There are 640 bamboo hair towel suppliers, mainly located in Asia. The top supplying countries are China (Mainland), India, and Pakistan, which supply 99%, 1%, and 1% of bamboo hair towel respectively. Bamboo hair towel products are most popular in North America, Southeast Asia, and Eastern Europe. You can ensure product safety by selecting from certified suppliers, including 221 with ISO9001, 56 with Other, and 13 with ISO14001 certification.